Spread the Bagel now has a storefront location with 4 other foodies, PANTRY by the co-op. Come and pick up your favorite Spread the Bagel bagels or enjoy a toasted bagel slathered with your favorite cream cheese. How Do You Spread Your Bagel? Call me plain Jane, but I’m a traditionalist when it comes to food and everything of the like. So for me, there is nothing better than a toasted plain bagel smeared with heaps of delicious whipped cream cheese. Sometimes I like a bagel smeared with cream cheese and topped with fresh tomato and garnished with some parsley. Or a toasted cinnamon raisin with butter.. mmmm heaven! Mmm. Bagels. Yum. 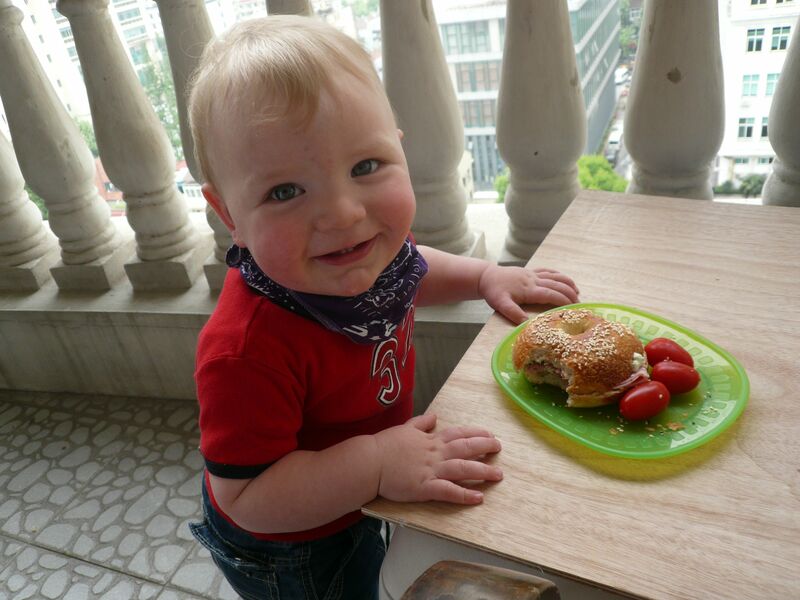 For those of you far from NYC with an incessant bagel craving and are thinking where on earth is my bagel?…So is Yum Yung, a young boy in Korea. 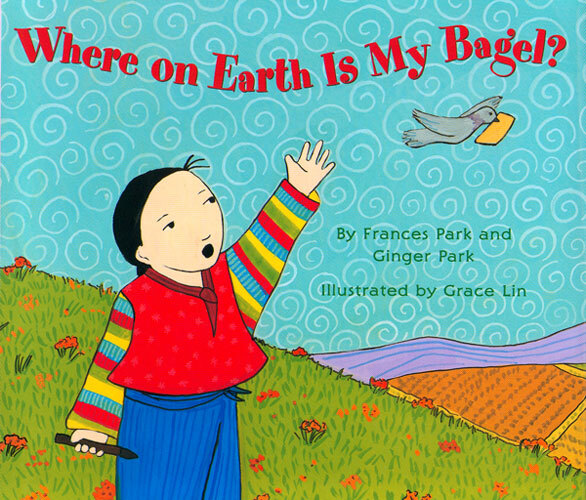 “Where on Earth is My Bagel” is a delicious tale of a young boy, Yum Yung, who awakes from an afternoon nap one day and exclaims “I want a bagel!” Taking place in a small village in Korea, New York bagels are a bit scarce, to say the least. This does not stop Yum yung. He ties a note to a pigeon and sends it to New York for an order of one bagel to-go. When the pigeon doesn’t return, Yum Yung decides to search for it. He asks many a different trade if they happened to get the order by mistake. Yum Yung encounters a fisherman, a bee-keeper and a baker, unfortunately, no bagels. Finally, when his dream of eating a bagel was starting to grow distant, the pigeon returns with a bagel recipe (along with a note that explains that bagels over a day old aren’t edible). The boy goes back to the fisherman, bee-keeper and baker for the wheat, honey, and salt called for in the recipe. At the end of the story, Yum Yung and the whole cast create and share a huge, delicious bagel. Alas, a yummy bagel for Yum! This is probably one of the most bizarre, yet unimaginably creative children’s story (or any other story for that matter!). So cute!! The story is so deliciously detailed that it could possibly even convert the most loyal of donut…or baozi lovers! If you’re in Shanghai and you find yourself asking, “where on earth is my bagel?” …At least you know you it won’t take as much determination as Yum Yung! I’ve had at least a dozen people ask me where they could find bagels in Shanghai. While bagels in Shanghai do exist, they’re not an easy find… unless you know where to look that is. For a Shanghai newbie, they’re as hard to find as smoke-free restaurants. So I’m writing this insider’s guide to bagels in Shanghai to reunite the bagel lovers out there with the breakfast staple we all love! So take note and indulge. Here’s where you can find em’. 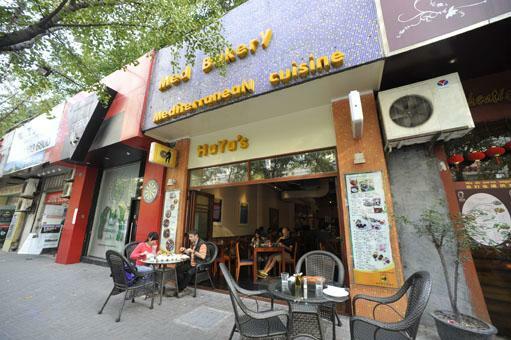 Haya’s is the longest standing bagel purveyor in Shanghai. Mass produced and easy on the wallet, these bagels strike me more as a bread than a bagel. They’re slightly on the larger side and can easily satisfy your carb cravings. Appearance: Haya’s bagels are generally larger and perfectly shaped – no doubt these were not handmade. Texture: Rather soft on the exterior, these bagels hardly resemble their NYC cousins. 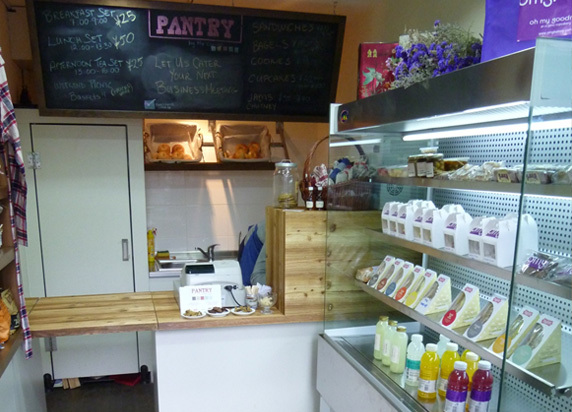 Recently opened in the Jing’an area, Egghead is hailed as the first bagel-only shop in Shanghai. Their bagels are a notch above Haya’s, and I’ll give it to them for their bagelwiches. Appearance: No doubt that these look like the real thing. These babies have an appealing glaze and uniform color. They are also on the large side, but that’s more carbs for you right? Taste: The cinnamon raisin and garlic bagels were my favorite out of all the varieties. Nice and flavorful. However, I was disappointed to discover that they were a bit on the dry side. Texture: Slightly crispier out of all the other bagel shops. A little more CRUNCH and SNAP would do the trick. The inside could be denser but at least there was some chew. This little bakery on the quaint street of Anfu Lu is one of my favorite carb havens in Shanghai. A pet project of Wagas, Baker & Spice doesn’t discriminate – bagels aren’t the majority but they do have the “traditional” fruit selection – cranberry and raisin. Appearance: Just the right shape. Not too big or too small. These had a decent amount of raisin and cranberry surfacing the bagel… mmm. The plain bagel had a nice golden color to it. Lovely! Taste: Surprisingly, these were not as sweet as I expected. A bit of a disappointment on my side. Not that bagels should be TOO sweet, but it could of used a little more tang. Just a little. Texture: I love bagels with a chewy interior and I really wish these bagels had that authentic quality to them. I’ll stick to their poppy seed muffin. A one-stop shop for those needing a quick carb and coffee fix. The best part about this joint is the value for your money. 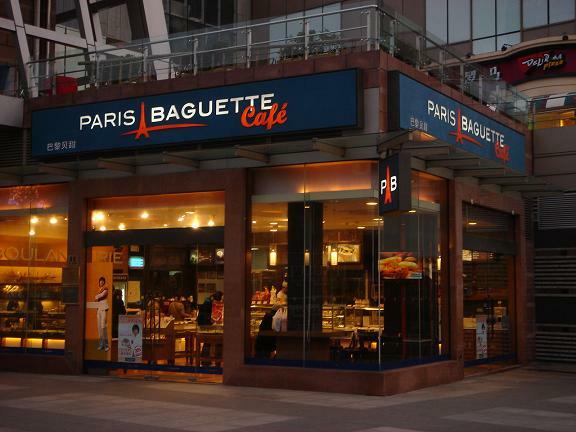 Unfortunately, bagels aren’t available at all locations, but if you frequent Paris Baguette you probably don’t go there for bagels. Appearance: It’s hard not to mistake these for Lender’s bagels – the kind you get at a grocery store. Taste: The plain and five grain bagel were flavorless and unimpressive. Texture: Soft and bread-y. Not so bagel-y. So folks there you have it. 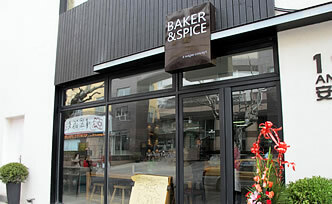 If you need to satisfy that bagel itch then now you know where to find em’ in Shanghai! Oh, but not to forget! I must say that we bake a fine bagel here at Spread the Bagel.. maybe even the best. Well, even though we might sound biased, we’d like to think they’re the best in the city.. but it’s up to you to decide! So during my recent trip to NYC, I decided to try out some of the most well known bagel shops in town. While there are a lot of excellent bagelries in New York, I had to narrow down to a choice of three due to time constraint. My first stop was Murray’s Bagels in the Greenwich Village. My roommate and I used to live close by and she would always rave about the bagels there. For whatever reason, I never went myself and apparently I’ve been missing out all this time! 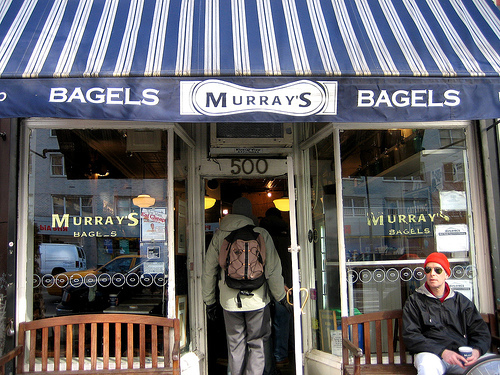 Murray’s is a neighborhood bagel shop with only one retail location. Inside looks like a regular deli with a ton of spreads and bagels on display. The bagels were huge! Much bigger than what I was expecting but I’m not complaining. Appearance: The bagel had beautiful marble streaks of cinnamon speckled with plenty of raisins. For me, it had just the right raisin to bread ratio. The size was a little bigger than usual and was thicker in some parts than others, which meant that it was hand rolled. Overall, it looked delicious and I couldn’t wait to bite into it. 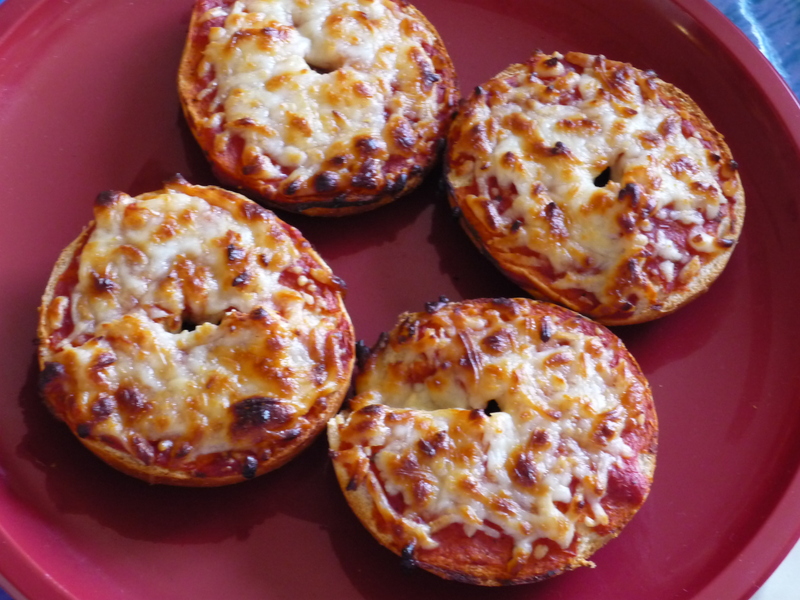 Taste: The crust was the perfect firmness and gave the bagel a consistent chewy texture. The bread inside was dense and doughy and tasted exactly like how a bagel should. Cream cheese: Look at all the cream cheese oozing out of the bagel hole! Murray’s is definitely generous with their cream cheese portions. The spread was whipped to a creamy and slightly airy consistency, but the saltiness was a bit overpowering. 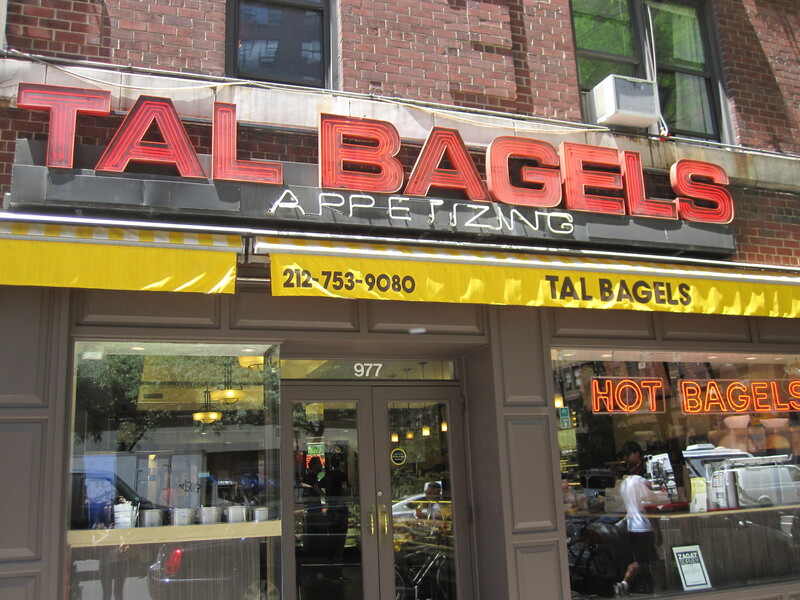 My next destination was Tal Bagels in midtown. I stumbled across some good reviews online and decided to give it a try since it was relatively close to work. Tal Bagel’s is another neighborhood gem. Inside was spacious with plenty of seating, but the decor was stale and slightly run down looking. 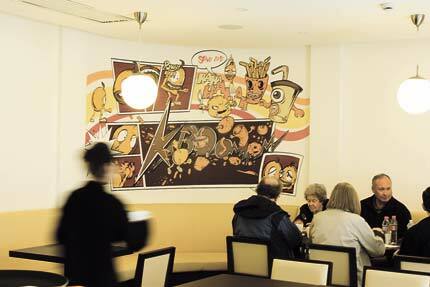 Most of the customers were the elderly crowd, a testament to its staying power? Appearance: Tal’s bagel has a nice brown color on the outside but lacked “everything” on their everything bagel. It barely had any seeds left by the time I sunk my teeth into it. Taste: The bagel was served warm and smelled like it was fresh out of the oven. The outside was hard but not crusty. The inside was somewhat airy and bready and was missing the chewy texture that’s characteristic of an authentic bagel. The flavor was also a little bland and could’ve been confused with a plain bagel. 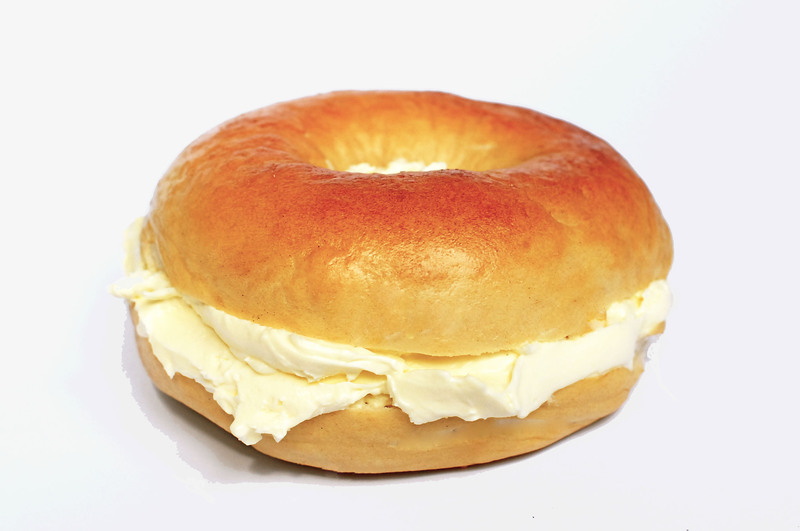 Cream cheese: The cream cheese was light and fluffy but was slightly melted by the warmness of the bagel. The flavor was plagued by the same saltiness as in Murray’s cream cheese. Do they all use the same recipe or get it from the same vendor?? Overall, Tal Bagels failed to impress and I quickly moved on to my next stop – Ess-a-Bagel. Ess-a-Bagel can be considered an institution in NYC and has two locations in Manhattan. It is one of the most popular and beloved bagelries in the city so I went with high hopes. Ess-a-bagel is decorated with a wooden exterior and had a homey feel to it when I walked in. There was a short line while I tried hard to choose amongst the myriad of bagel and cream cheese flavors. Appearance: Ess-a-Bagel’s onion bagel was just the right size with plenty of onion bits to cover its entire surface. It was evenly molded on all sides and had an almost-too-perfect round shape. I’m gonna venture to guess that it was machine produced. The hole in the middle was also nonexistent as it was swallowed up by the surrounding bread. Taste: The bagel crust was right on – not too hard or too soft. The bread had a hint of onion flavor which was further enhanced by the onion bits on the outside. The texture was bready but slightly chewy and noticeably denser than Tal’s. Cream cheese: Thrown off by the saltiness of the regular cream cheese in my previous experiences, I decided that scallion was the way to go – and it did not disappoint! The cream cheese was super creamy and had a strong scallion flavor with just a hint of sourness. It definitely made the bagel 10x better. Final verdict: Judging only by the bagel, Murray’s is by far the best among the three bagel shops. Its hand crafted bagels have the perfect texture and consistency. I would recommend Ess-a-bagel for those who prefer a lighter bagel and I would definitely go back just for the scallion cream cheese.